First previewed at SHOT Show 2011, the Maglite XL200 is the latest member of Maglite’s tactical-sized XL Series of flashlights. 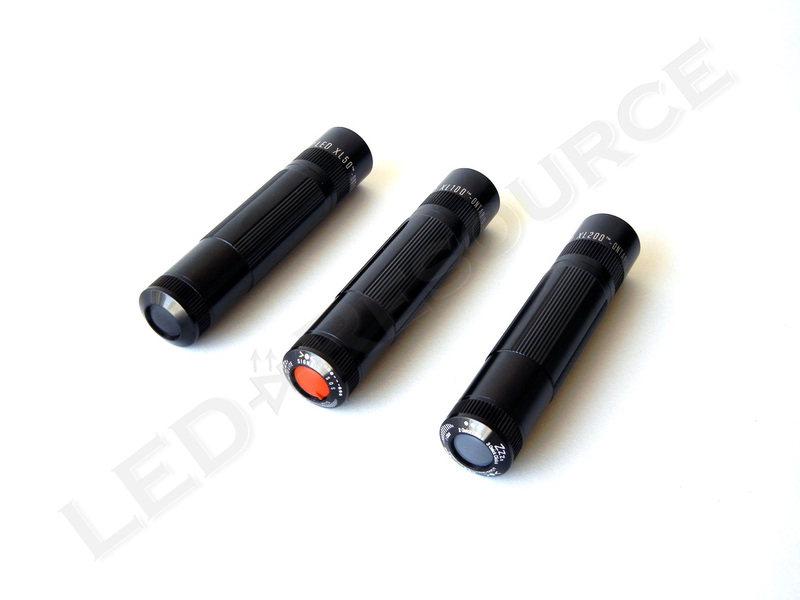 The XL200 operates on three common AAA batteries for 172 lumens of maximum output, rivaling rechargeable and lithium CR123 powered flashlights, and has a new user interface that combines the XL50’s ease-of-use with the features of the XL100. 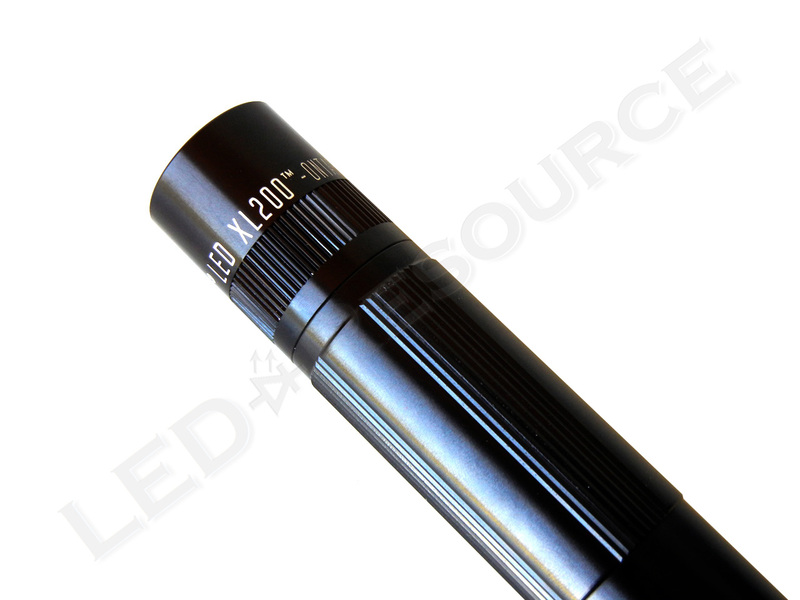 Read on for our exclusive first look at the Maglite XL200 LED Flashlight! 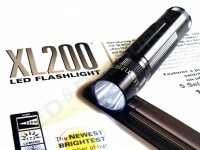 MSRP for the XL200 will be about $59.99, and the light will be available in several colors, including black, grey, blue, and red. The XL200 is targeted for the sporting goods market, so unlike the XL50 and XL100, you won’t be able to find it at your local Target or Home Depot. We got our XL200 in the optional presentation box, but standard packaging for the XL200 is a blister pack similar to the XL50. Included in both packaging are: Maglite XL200 LED Flashlight and 3 x AAA Duracell alkaline batteries. 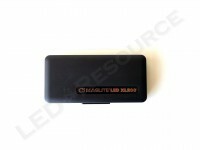 The XL200 uses the same sturdy battery carrier found in the XL100, and is powered by three AAA batteries. 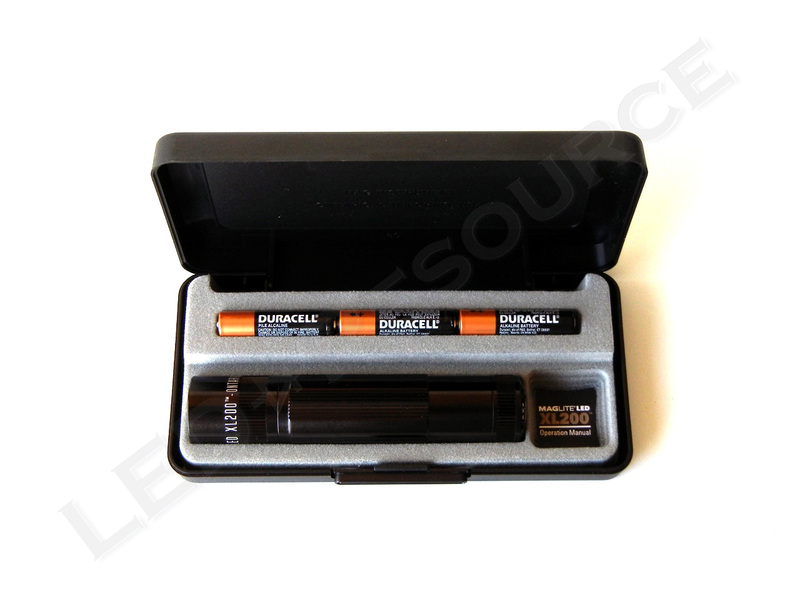 The rated specifications are for alkaline batteries, but NiMH rechargeable and lithium primaries may also be used. The head features a plastic window and a deep smooth reflector. 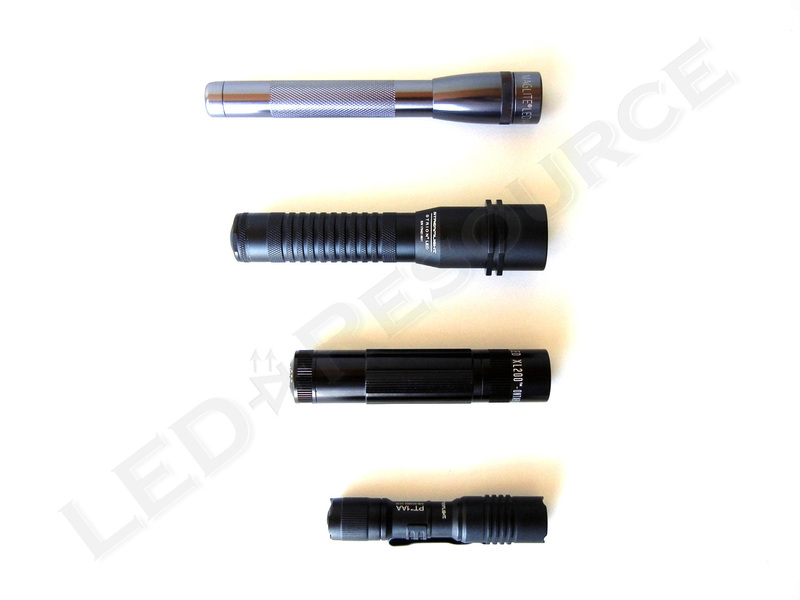 The beam can be unfocused with a quarter turn of the head, or the head can be removed for a completely flood beam. The entire light is type-II anodized aluminum inside and out. The anodizing prevents corrosion, and also electrically insulates the light. 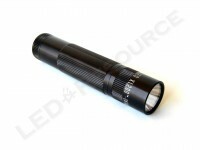 The body is identical to the XL100’s, including the knurling, which is not aggressive enough to prevent the light from rolling. 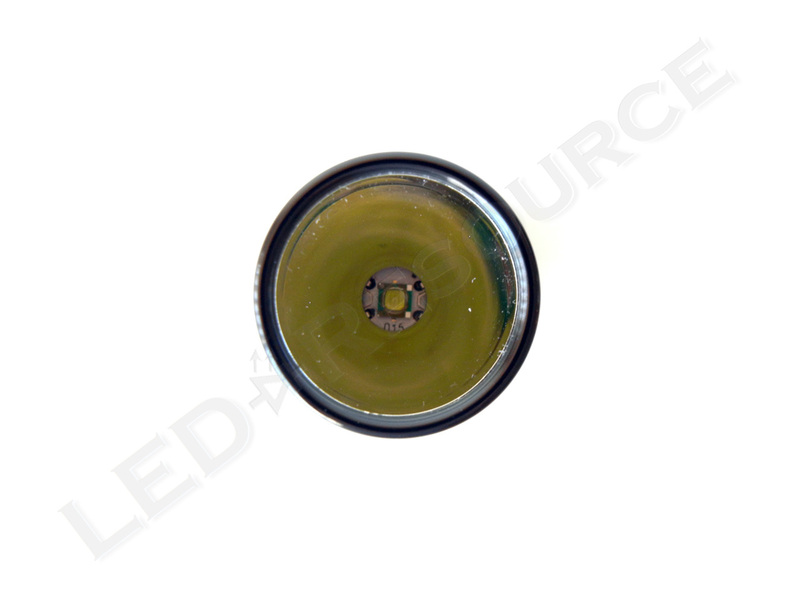 On the tail cap is an electronic switch covered with grey rubber with markings for each mode. Like the XL100, the tail cap contains an accelerometer for adjustable brightness and strobe. Unlike the XL100, the accelerometer isn’t used for mode selection. Instead, a click sequence like the XL50 is used. With the light turned off, press and hold the switch. Rotating the light left and right will adjust the brightness. Once the desired brightness is achieved, releasing the switch will set the brightness. The light will remember the setting after switching off, and the memory function is non-volatile (which means the setting won’t be lost when the batteries are removed). The stored brightness setting applies to all modes. 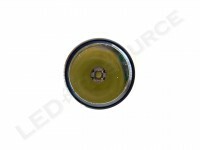 The strobe feature is designed for disorienting or getting somebody’s attention. 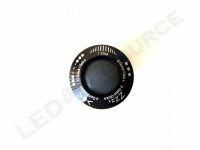 To adjust the strobe speed, hold the button on the second click and rotate the light left or right. The strobe speed can go as low as a slow flash of about once every two seconds. Click the button to disengage. This is one of the most interesting modes of this light. When the light is set down, it will dim to a faint glow until the light is moved. Unlike the XL100, Nite Lite mode returns to the stored brightness level unless it is below ~50%, in which case it will return to 50%. Since the XL200 uses an electronic switch, there is no momentary on. Instead, twisting the light to the left or right will turn it on. Rotate the light back to the original position to turn off. Click the button again to turn the light off. SOS is the International Morse Code Distress Signal, which is three short flashes, three long flashes, and three short flashes. Press the button again to disengage. To disable the light, point the light upwards, press the switch, point the light downwards, and release. The light will not turn on if the switch is pressed. To unlock the light, repeat the procedure. This feature is handy for packing the light and eliminates the need for crude lockout features such as unscrewing tail caps or removing batteries. 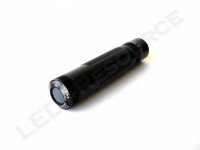 The XL200 is the brightest Maglite flashlight so far, with a stunning 172 lumens of output, and is also the first Maglite to feature the Cree XP-G LED. Compared to the XL50, the XL200’s beam pattern is very clean and has more side spill that illuminates a wide area. 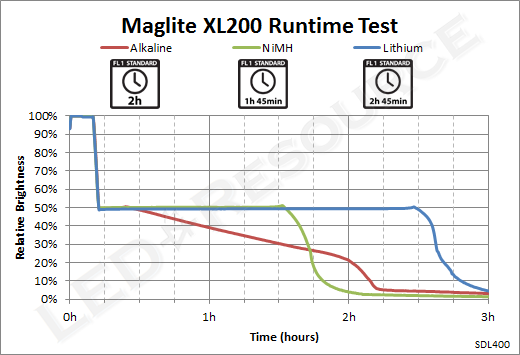 Interesting to note is that after 12 minutes of runtime, the XL200 reduces output to 50%. This allows better battery life and more consistent output (albeit, at 50%). 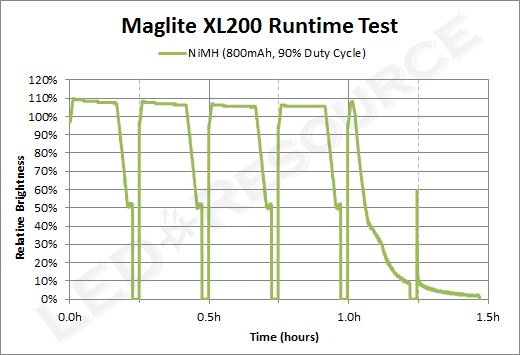 If the XL200 is operated with a 90% duty cycle (13.5 minutes on, 1.5 minutes off), maximum output is maintained for a shorter amount of time and the runtime graph resembles that of a flashlight without an automatic energy-saving step down. No original accessories are available for this light at the time. Some accessories are compatible with the XL200, such as the OEM Maglite 2AA anti-roll ring, and Ripoffs’ BL-150 and CO-150 belt holsters. 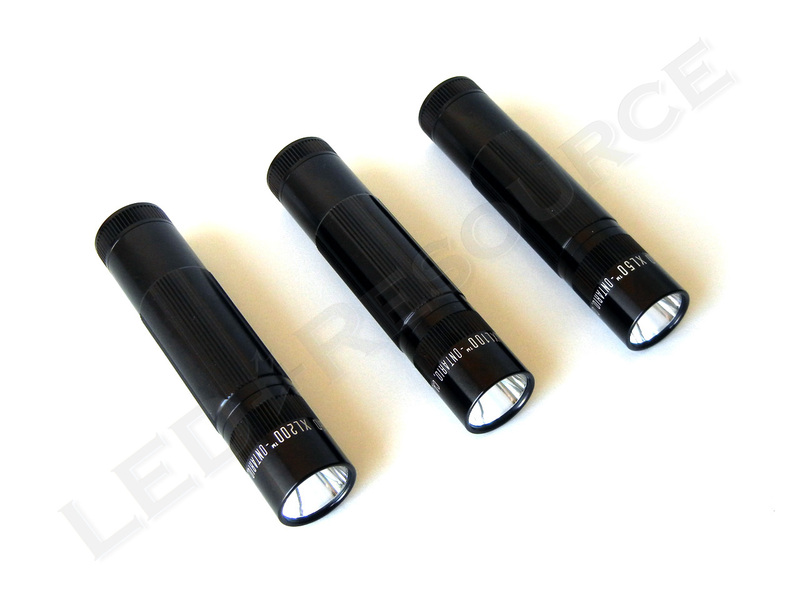 We’re glad to see Maglite becoming competitive with higher performance flashlights, and if the shorter runtime of the XL200 is a concern, the brightness setting can be lowered across all modes. 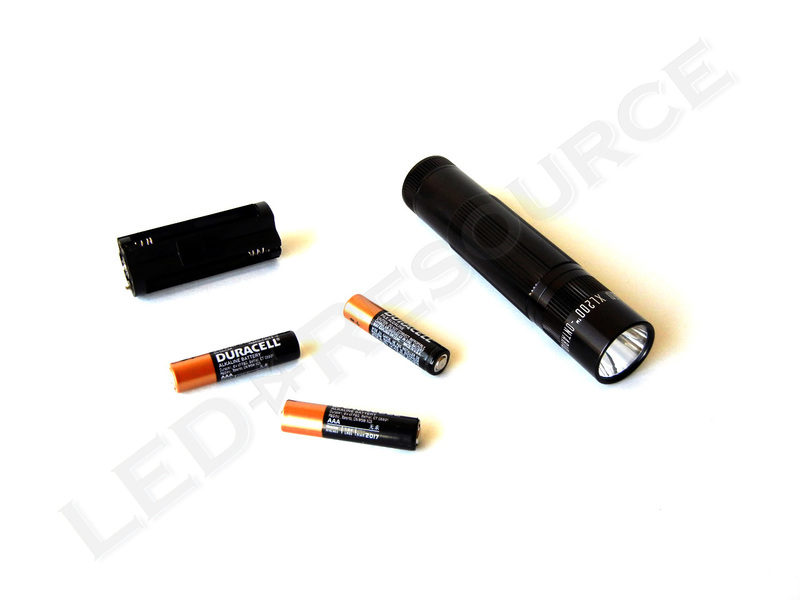 The XL200 runs on common batteries, as expected with a Maglite flashlight, that are inexpensive and can be found anywhere. 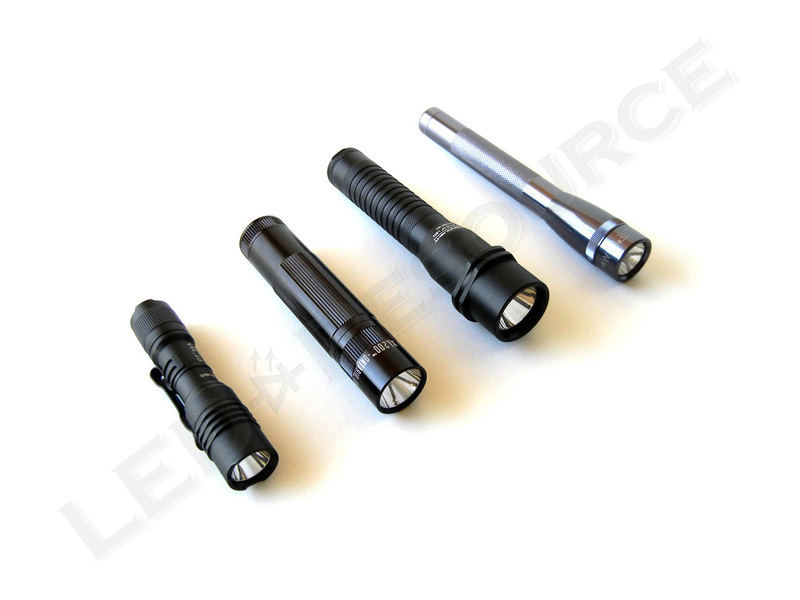 Leading the Maglite product line both in terms of function and performance, the XL200 is a great multi-purpose performance flashlight. 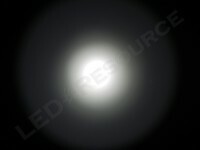 Mode 3 (Nite Lite) is, as the name suggests, designed to be used as a night light. 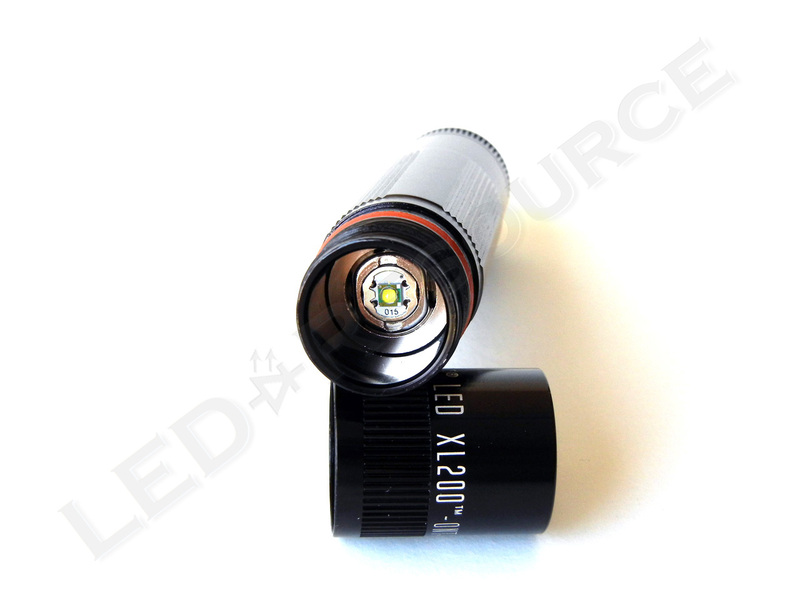 If you are camping, it will likely be complete dark at night, so the XL200 will be easy to locate without being too bright. Mode 4 (Signal) is designed to be used as a momentary mode. If you have little brighter light about same size I’m interested. I bought this light, used it for 10-20 mins, loved it, then put it in my drawer for a couple months. The next time I went to use it, the batteries were dead. I put new batteries in and it worked great. I used it for about 3 mins then I put it back in my drawer. A couple weeks later I pulled it out to use it and the batteries were dead again. Is this just due to the standby current? If so, that is a really unfortunate aspect of this Maglite. I don’t use the light regularly, but when I do use it, I want to know that it’s going to work and I don’t want to have to put new batteries in it every time. I would expect the standby current discharge to only cause problems after maybe 6-12 months. Could it be possible that something in the drawer is rolling around and possibly turning on the light? Alternatively, you could store the battery carrier outside or unscrew the tailcap enough that the light no longer turns on.